Our Idexx ITS Digital DR system uses state-of-the-art equipment to capture the best possible digital image on the patented titanium oxide imaging plate. The flat panel direct capture imaging plate is placed under the object to be examined and a high frequency x-ray exposure is made producing an image under 5 seconds. The imaging plate is connected directly to a computer and provides an image while still at the patient's side. Our system eliminates retakes by producing crisp images of both bone and soft tissue in a single take. Our true DR system develops and digitizes the image within seconds, allowing our veterinarians to make a the most accurate diagnosis. Subsequently the images can be measured, adjusted for exposure and emailed to potential buyers out-of-state or referral surgical center for consultation. The radiographic potential of our equipment allow us to image everything from distal limb radiographs of a pre-purchase exam to cervical neck radiographs in our neurologic patients in an efficient manner. Ultrasound is a specialized imaging technique that uses inaudible sound waves to create an image of soft tissue structures. It is one of our most frequently used non-invasive diagnostic tools. Our Milab 30 digital ultrasound system will almost instantly captures a high quality digital image on the display removing any need for processing. This unprecedented level of detail and versatility provide efficiency for our radiology team and an enhanced diagnositic tool for our patients and veterinarians. 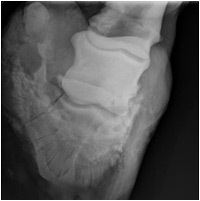 Ultrasonography is used in lameness diagnosis to image tendon and ligament injuries, tendon sheaths, and joint capsules. 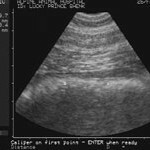 In equine reproduction, ultrasonography is used routinely for imaging uterine and ovarian structures to aid in timing of insemination and ovulation, pregnancy diagnosis, and evaluation of the reproductive tract in health and disease. 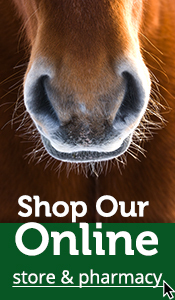 Transabdominal ultrasound images of the late term equine fetus can help assess fetal well-being. 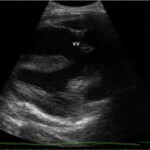 Colic cases benefit from the option of abdominal ultrasound as a part of a work up to help determine if surgery is necessary.